The Manalapan Condos For Sale can be found in nine communities. These condos 07726 are Briarheath, Fairways at Battlegrounds, Knob Hill, Meadow Creek, Oak Knoll, Oak Ridge, Southfield Estates, Towne Pointe and Triangle Commons. These homes are available with two, three or four bedrooms. Some of the condos 07726 have garages and some have basements. Route 9 is the major shopping area, and Raceway Mall is minutes away, with over 200 stores to choose from. Also there are many shopping centers offering major retailers such as Target, Best Buy, Wegmans and more. The Route 9 shopping area extends north into Marlboro, and south into Freehold. In addition, the popular warehouse clubs are nearby. This area also has many restaurants to choose from. New Jersey Transit and Academy Lines provide bus service on Route 9. Commuters can either walk to the bus stop, or use one of the Park N Ride lots. In addition, the Matawan train station is nearby. Elementary and middle school age children will attend Manalapan-Englishtown Regional Schools. All kindergartners will attend the Early Learning Center. There are four schools, Clark Mills, John I Dawes, Milford Brook and Taylor Mills for grades 1-3. Three more schools, Lafayette Mills, Pine Brook and Wemrock Brook serve children in grades 4-6. In addition, Middle school children, grades 7-8 attend Manalapan Englishtown Middle School. When students enter high school they will attend the Freehold Regional High School District. In fact, there are six high schools in the Freehold Regional High School District. The schools are Manalapan, Freehold Township, Freehold, Colts Neck, Howell and Marlboro. Children from Manalapan condos will attend the high school according to boundaries set by the district. In fact, most children from condos 07726 in Manalapan will attend Manalapan High School. There are specialized Learning Centers in each of the six high schools for students who are talented and highly motivated. For instance, a Manalapan High School magnet program is Law and Public Safety. In fact, any student from the region can enroll. Admission to these programs is a competitive process. Specifically, SAT scores at all of the high schools consistently exceed state and national averages. Therefore, more than 87 percent of the district’s students pursue higher education. 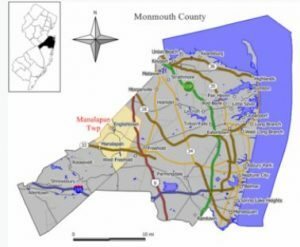 Also, students living in Manalapan condos are eligible to attend one of the magnet schools in the Monmouth County Vocational School District. Call 732-598-7700 to see the Manalapan Condos For Sale condos, or condos for sale Manalapan.